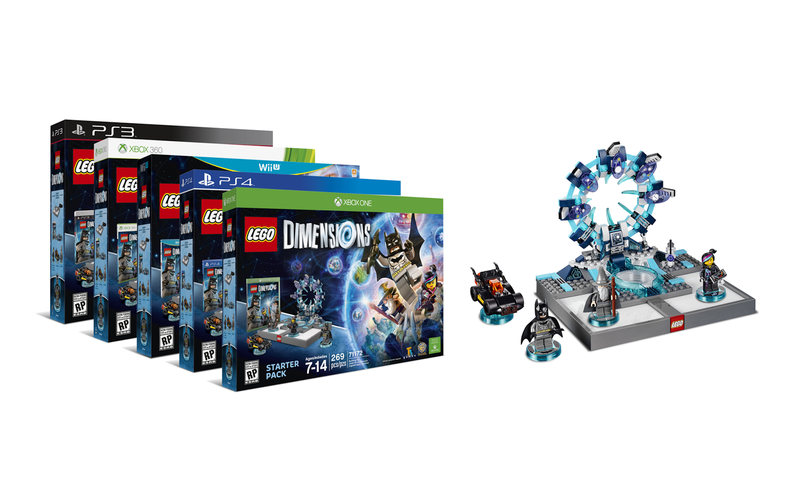 CD's Brick Mix: Lego Dimensions - Will it be Good? Hellego! This week, Lego announced their upcoming Lego video game: Lego Dimensions. This game is very different than other Lego games. The game is a mix of Lego themes which is nice and it's a "toys come to life" type of game like Skylanders or Disney Infinity. The game will have collectible characters that you can buy. Is this good or bad? Let's analyse all this together. The game is launching September 27th, 2015 on PS3, PS4, Xbox 360, Xbox One and Wii U. You will need to buy the starter pack which includes the game, Batman, Wyldsyle, Gandalf, Batmobile and the buildable toy pad that allows you to place your characters on, to jump into the game. All this is set to be priced at 99$. It seems like you get a lot of content, but here's the catch. There will be additional expansion packs you can buy with additional characters which will unlock more content in game. There are three types: Fun Pack (14,99$), Team Pack (24,99$) and Level Packs (29,99$). This comes out to a lot of money. They do seem interesting though. There is a Back To The Future Level Pack that unlocks a Back To The Future level, you get a Marty Mcfly figure, HoverBoard and Time Machine. I have to admit it sounds interesting. But I am personnally against this idea. This will be great and fun for kids, but to get the game to work you need to pay 100$, then if you want everything that the game has to offer, you need to buy the different packs. This can easily go past 200$ invested into this single game. I am the type of person who likes to buy a game and have all the content with the game. I don't want to have to buy additional DLC or physical DLC to have everything in the game. Maby the occasional DLC for additional content, but other than that I find DLC and Physical DLC not good. When the game was first announced, I was really excited about it. It's awesome how Lego is going to mix the Lego worlds together into one story. I thought maybe the starter pack would be about 70$. At that price I would have probably gotten it. But at 100$, plus all the additional packs, to me I think it's too much. Think of all the Lego sets you could get with 150$ instead of investing that money on one single game. That's what I think about it. I'm not going to start telling you not to get it and it's perfectly fine if you get it. I hope you have lots of fun playing that game. But I find that is too much money for only one game. Another aspect I have been thinking about, is if the minifigures are detachable. Because if the minifigures are detachable from their plates, well then you get much more value out of the game and packs because you can use the collectible figures in your Lego creations and sets. If they are stuck to the plate, well then their pretty much only good for putting on a shelf. Those are my thoughts on the upcoming Lego Dimensions game. I think the story will be fantastic and I don't think you are making a mistake if you are getting it. But I am against the price of the game and all the extra packs you need to get if you want everything out of your game. What do you think of the game? Do you think Lego is doing the right move with this game? Let me know by leaving a comment!